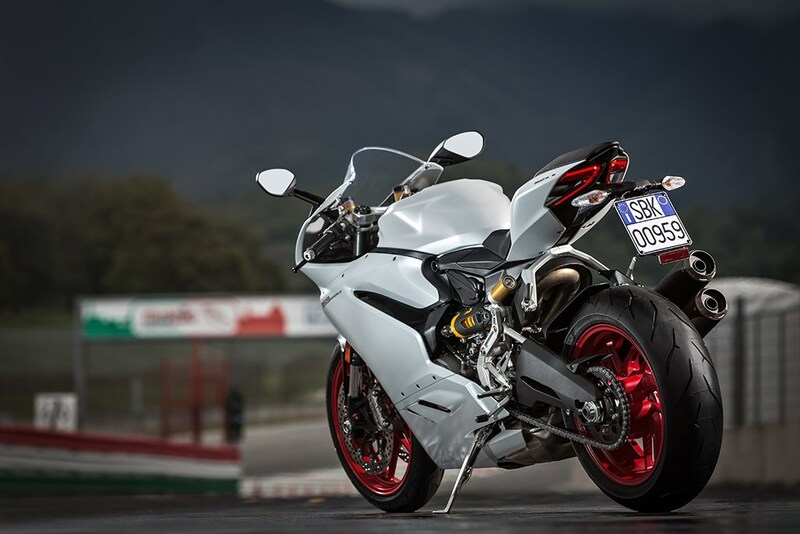 With the 959 Panigale, Ducati revealed a little sensation at the EICMA 2015. 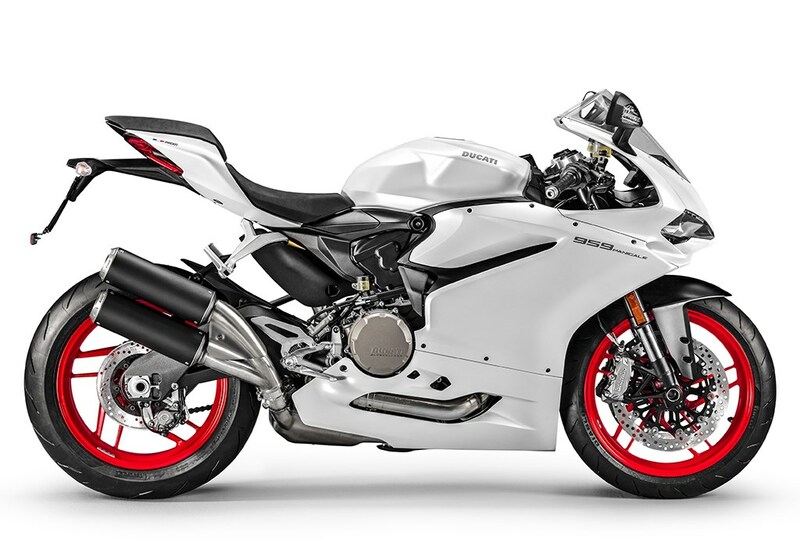 They regard their new two cylinder v-twin as ‚Supermid’ and place it right between the 899 and 1299 Panigale. The gain of 57 ccm results in a raise of 9 bhp. Longer piston strokes (3.6mm) with remaining bore diameters lead to a peak torque of more than 79 ftlbs. 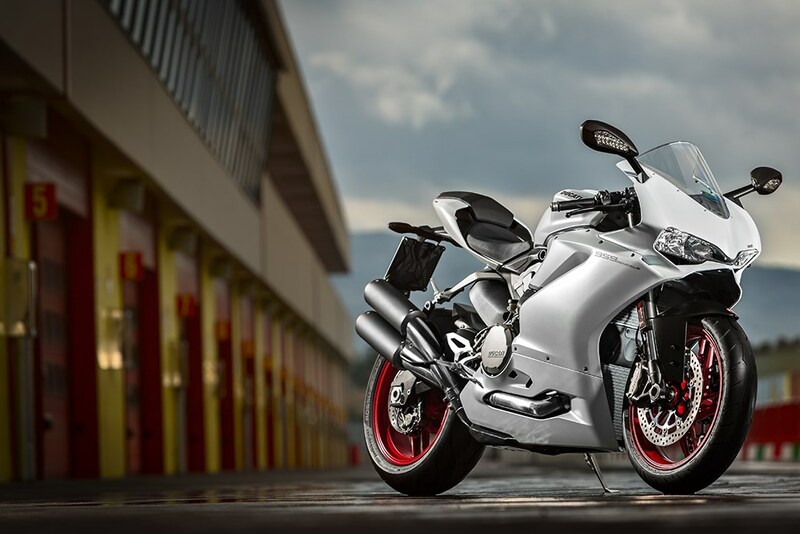 With the new, revised engine, Ducati now complies to the EURO 4 norm. The engine reaches its maximum power of 157 bhp at 10.500 RPM and weighs only 176 kilogramm. A wide range of electronic gadgets come along with the engine improvements. 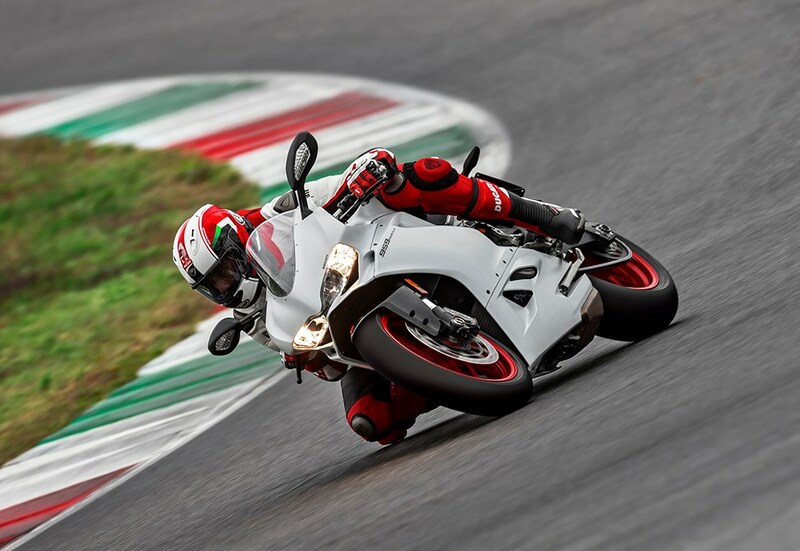 Such as „ride by wire“, Ducati Security Package (DSP) or different traction controls. 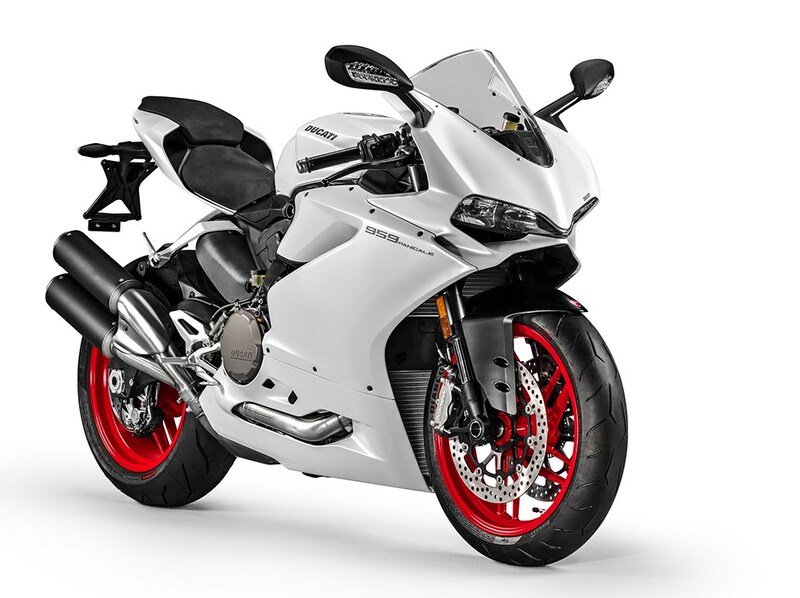 The 959 Panigale will be available in two colors, red and white with prices ranging from 18.600 Euro for the classic red version to 18.970 Euro for the white one.